A survey of more than 250 lakes across Canada has found a potent liver toxin in every province, with the highest concentrations in central Alberta and southern Manitoba. 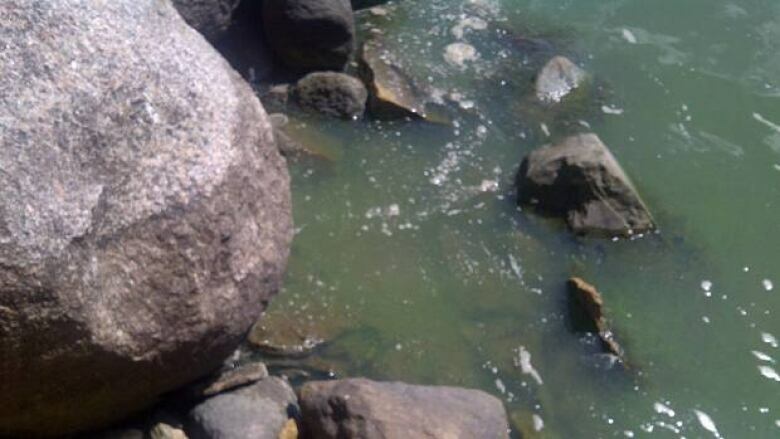 The survey published in a scientific journal has found the toxin in certain types of blue-green algae. The toxin, called microcystin, is found in lakes heavily loaded with nutrients from agricultural runoff and development. The survey found nearly 10 per cent of the 256 lakes surveyed had microcystin levels that exceeded Canadian guidelines even for recreational use. Study author Diane Orihel said more research is needed to nail down the conditions that produce the toxin but there is an easy way to explain what she describes as fat lake syndrome. "Like us, when lakes receive too many calories, they become unwell," she said. She said the ideal place for such research would be the Experimental Lakes Area in Ontario, but that has been targeted by recent federal government budget cuts. Manitoba experts predicted a dire outcome for other lakes as well. University of Manitoba professor Gordon Goldsborough told CBC News the algae blooms on Lake Winnipeg could soon show up on neighbouring Lake Manitoba. "I am predicting that within the next couple of decades you are going to see massive blooms on the scale of Lake Winnipeg, (showing up) on Lake Manitoba, too, " he said. "But worse," he added, "because the conditions on Lake Manitoba are primed." The scientists involved in the study say experts need to look at the whole eco-system surrounding affected lakes.